While visiting our dealer in Massachusetts, Lift Truck Parts & Service, we had the opportunity to sit down with Aaron Adelung, Service Manager of The Joseph Freedman Company Inc., and talk with him about how his Doosan’s deliver. The Joseph Freedman Company, Inc., was founded in 1891 in Springfield, Massachusetts by Joseph Freedman, great grandfather of the current company president, John D. Freedman. 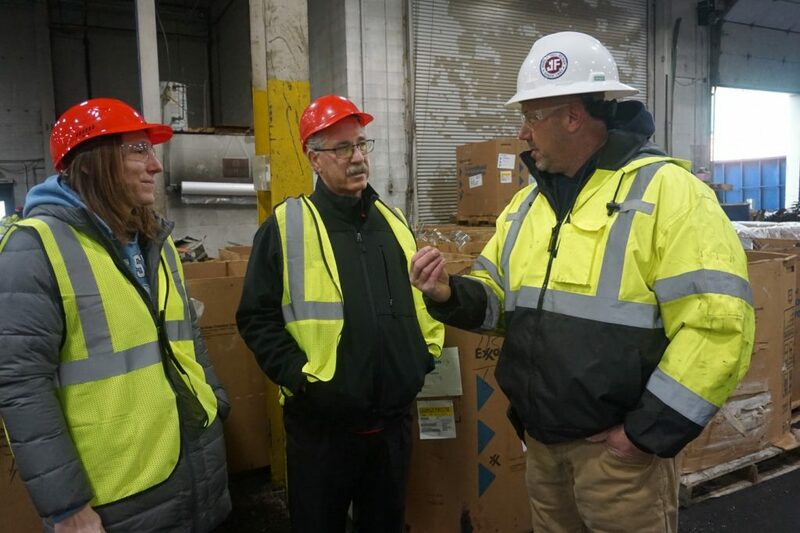 The company has built a reputation for being one of the pioneering leaders in industrial scrap metal recycling, specializing in aluminum, copper, nickel alloys and aircraft scrap. What applications do you most use the Doosan forklifts? Our aerospace application uses the Doosan forklifts prominently because the control required demands rotating side shifters. 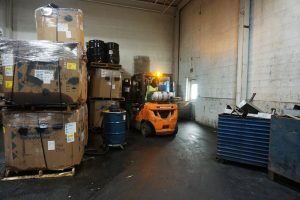 The forklifts rotate over the tops of bins and sorting tables, as well as on the backend once the metal is separated to stack and relocate the material. Tell me a little more about the aerospace application and how the trucks run? 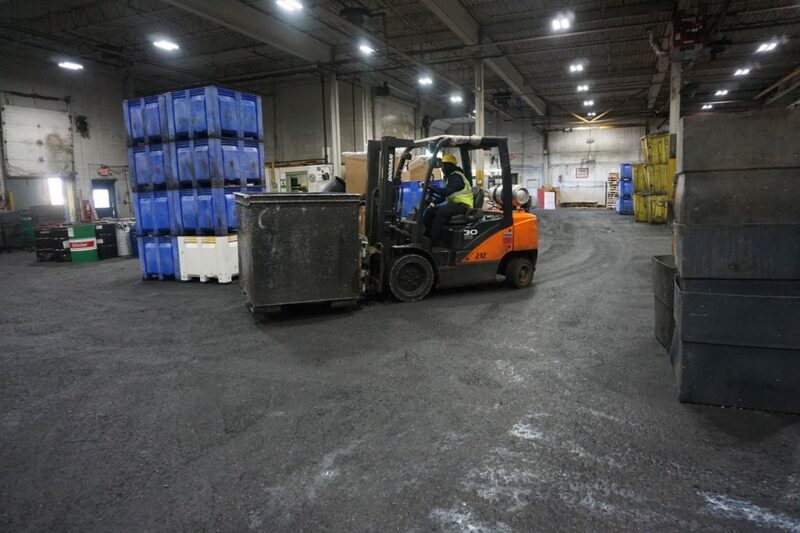 The trucks run non-stop in this facility from 6 AM to 5 PM, with at least two operators for each truck. If one needs to do another operation, the second one can jump right in. The oil that coats the material is slick, and there is considerable greasy build up. This oil makes this application tough and is very hard on any forklift. We have tried several different brands of forklifts, but the Doosan is the only one that has been able to handle the aerospace application. What do you like about your Doosan? They are durable; we have not had any problems with ours so far. Some of the chemicals that come out of the materials we scrap can do severe damage, and the Doosan’s are the only ones that have held up from the harshness of the chemicals. We currently have five Doosan’s, and I haven’t found anything that I don’t like about the Doosan forklift. I also appreciate my partnership with Lift Truck Parts and Service. They are always quick to respond if we need repairs on any of our trucks. If they don’t have a part right away, they work to get it to us by the next day.